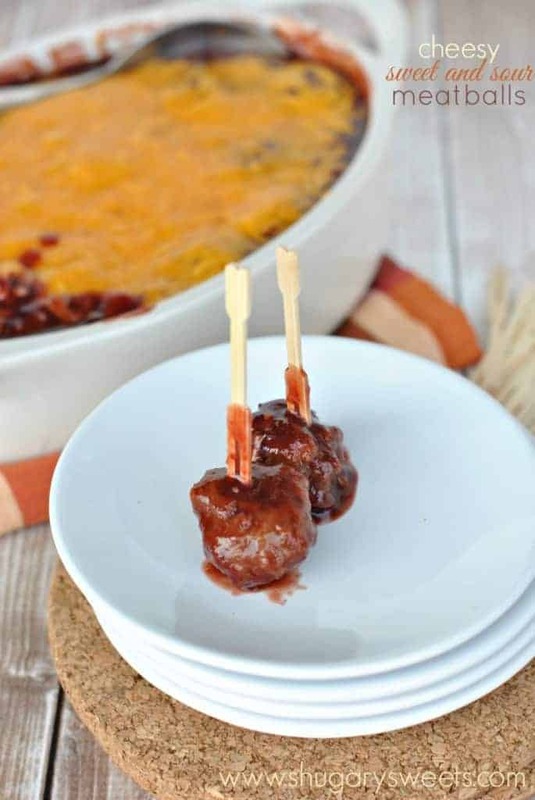 One of our favorite holiday appetizer recipes: Cheesy Sweet and Sour Meatballs! I don’t know about you, but I’m having a hard time believing Christmas is next week. I mean, I believe it because my calendar says it is true…but I’m not ready. Every year I get to this point, and I find myself in denial. Denial that I’ve let myself get down to 7 days with SO MUCH TO DO. Fortunately, the things I have left to do, are not blog related. Last year at this time I was up to my eyebrows in blogging and giveaways. This year, I planned ahead for this crazy time of year! I started making peppermint desserts in August. Much like a retail store, my house was eggnog, gingerbread and peppermint while it was still 80 degrees outside! And I’m so thankful I planned ahead. Although, it still leaves me one week away from Christmas, no cards sent out. Running to the post office with all the other late people standing in line for what seems like an eternity! And of course, nothing is wrapped. 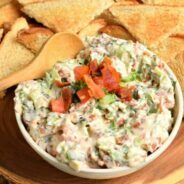 One of our favorite traditions is to enjoy appetizers on Christmas Day. I usually bake up a delicious coffee cake or donuts or cinnamon rolls for us to eat in the morning. But the rest of the day is filled with snacks. 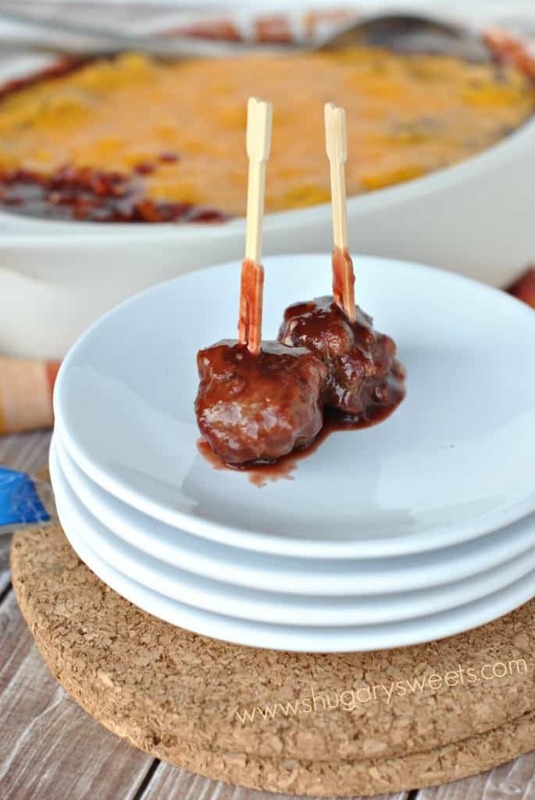 Sweet and Sour Meatballs are one of my husband’s favorite appetizers. He used to work in a restaurant, and they served these cheesy sweet and sour meatballs! I’ve got my own version of these for you today! To prep ahead of time, I like to bake my meatballs, cool them, then freeze them until I’m ready to use. It helps cut time during the chaotic holiday. Grab your frozen meatballs, pour them into a dish, add your sauce and bake until bubbly! Top with cheese and continue to bake until melted and gooey! ENJOY. Sweet and Sour Meatballs topped with cheese! In a large bowl, mix meatball ingredients until fully combined (I use my hands). Roll into 40 large meatballs (about 1 1/2-2inch in size). Space evenly onto a parchment paper lined baking sheet. Bake in a 425 degree F oven for about 25 minutes. 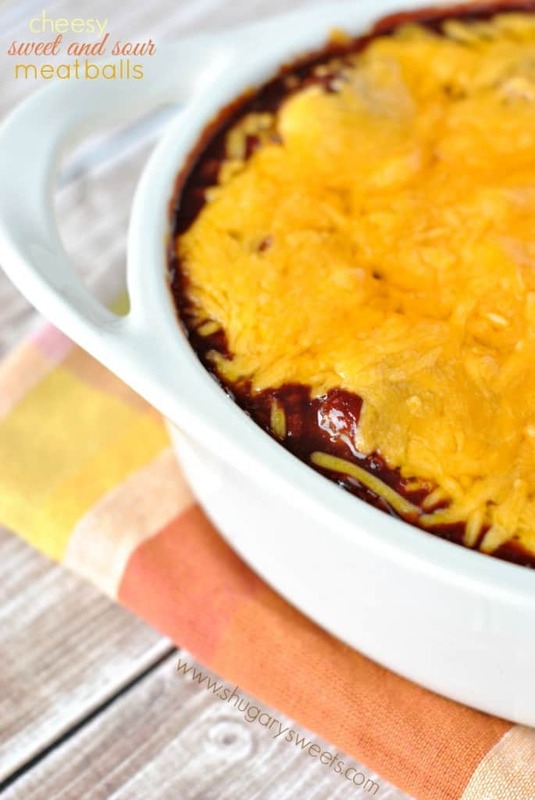 In a 2 1/2 qt baking dish, combine chili sauce and grape jelly, whisk until smooth. Add cooked meatballs, stirring gently. 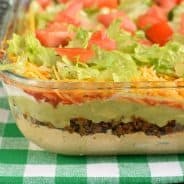 Cover with foil and bake in a 375 degree oven for about 15-20 minutes, until sauce is bubbly. 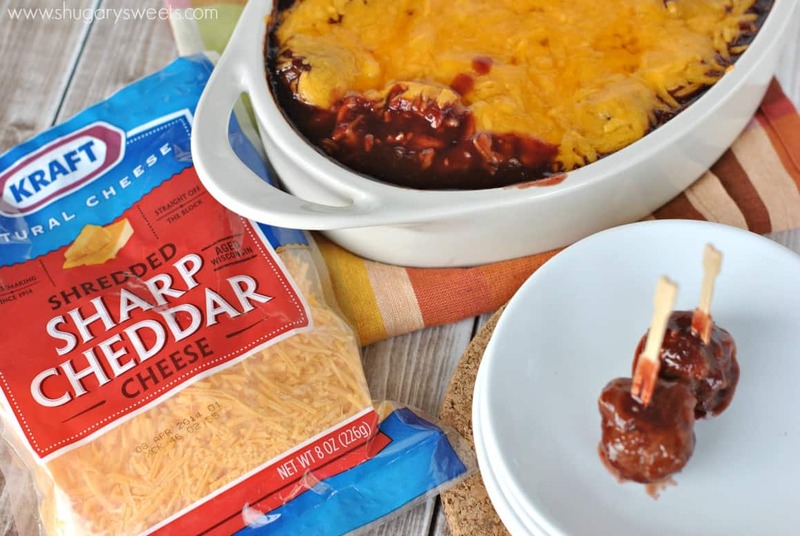 Remove foil and top with shredded cheese. Bake an additional 5-10 minutes until cheese is completely melted. 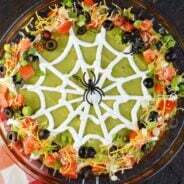 Serve with toothpicks and enjoy. You can freeze the meatballs after baking and store them until ready to use. To make this a meal, serve over cooked egg noodles or rice! 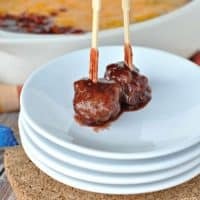 I absolutely LOVE sweet and sour meatballs, and have never had them with cheese! Holy moly these look amazing. Cheese can only make things even better. Thanks for the recipe…pinned!